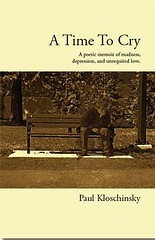 Paul Kloschinsky, one of the Great North’s best kept secrets. Just releasing his latest album titled., Like Your Hero, Kloschinsky is about to take you on a musical journey that will pleasantly surprise you. Hailing from Delta, British Columbia, Kloschinsky blends folk infused rock that channels legends such as Neil Young and Bob Dylan. Opening with the intriguing track, “Ignition,” the piece is filled with beautifully strummed and bright acoustics, with Kloschinsky’s voice very much in the forefront. His vocals are very unique, yet they fit the music perfectly, captivating every note. “Like Your Hero,” is a gorgeous track right from the start, with subtle, yet noticeable violin throughout, making this a standout piece on the record. “Burns Like a Candle,” is a personal favorite song on the record. With Kloschinsky’s voice crooning like a true folk singer, and the galloping pace of the instruments throughout, really tend to create something special. “My Heart Still Belongs to Her,” proves to be one of the most beautiful tracks on the album, providing something a little different. Soft strings accompany Paul as he appears to sing about a lost love, or someone that he misses deeply. He really manages to capture his true emotion in this song and it will certainly tug on your heartstrings. “Take Me to the Doctor” is a charming tune that may remind one of a classic song by The Replacements, as Kloschinsky’s voice has a bit of Paul Westerberg flare to it through the course of the song. “And Be Near You,” is the best example of folk-meet-rock on Like Your Hero, alongside “Bad Times,” a rather interesting track that has a hint of surf rock blended with folk, and a harmonica sound that fits like a glove. Kloschinsky’s lyrics are very introspective with varying undertones. Though the tale may be of “Bad Times,” he surely seems like he is having a good time playing it. “Fields of Dream,” is a catchy song, with subtle guitars, pleasing and slick riffs, and Kloschinsky laying a smooth vocal track over, as his lyrics naturally echo. “Do you remember long ago, before the ice, and the wind, and the snow?” sings Kloschinsky with spirit. Every track on this record seems to tell a story, as if reading chapters of a novel, which helps one dig into the ultimate listening experience. Whether this is intentional or not, Paul has a superb knack for songwriting. “Lovin Don’t Come Easy,” is a sultry track that shows the true depths of emotion, as Paul seems to be genuinely heartbroken as he guides you through this tale. That’s okay though, as things seem to pick up for him with the closing track “The Bargain” at least for a little while as his bargain appears to be with the devil. Paul Kloschinsky’s Like Your Hero, is a touching record that proves to be the blood, sweat and tears of this talented songwriter. If you are willing to take a chance on a new musical discovery, we have found just the thing. Paul Kloschinsky is a name to look out for in 2013, and beyond.